The Four-door doesn't sound very alluring does it? 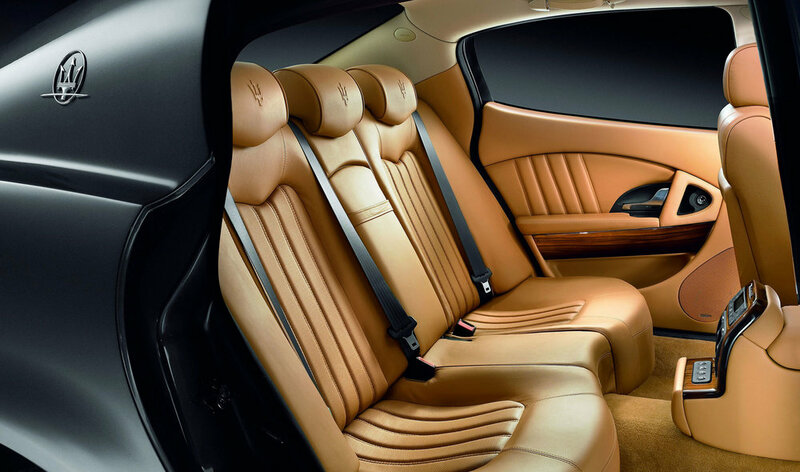 But when you call your luxury saloon Quattroporte it suddenly sounds a lot more enticing. 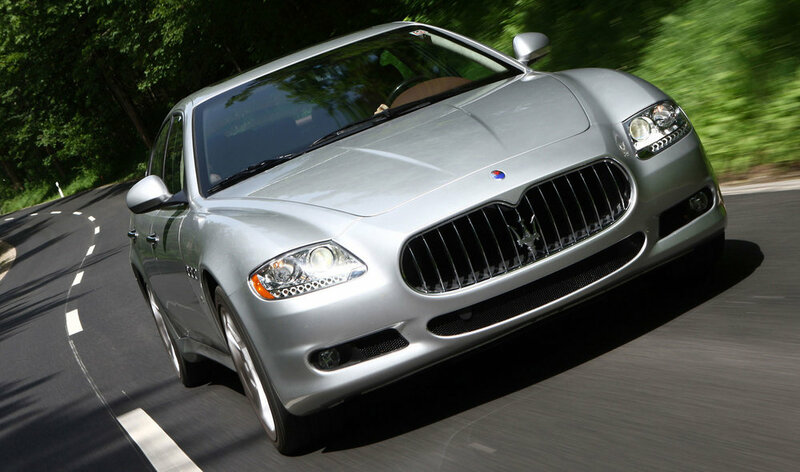 The Quattroporte has been part of Maserati's line up since 1963; the fifth-generation saloon that was designed by Pininfarina arrived in 2003. Up against the Aston Martin Rapide and Porsche Panamera it takes a very different kind of person to buy Italian instead of German or British, but if you take the plunge you'll be rewarded with a car that's great fun to drive and has plenty of soul. You'll also get plenty for your money thanks to sharp depreciation, but the build quality and reliability can't match that of the Porsche or Aston, while running costs are high - potentially very high. 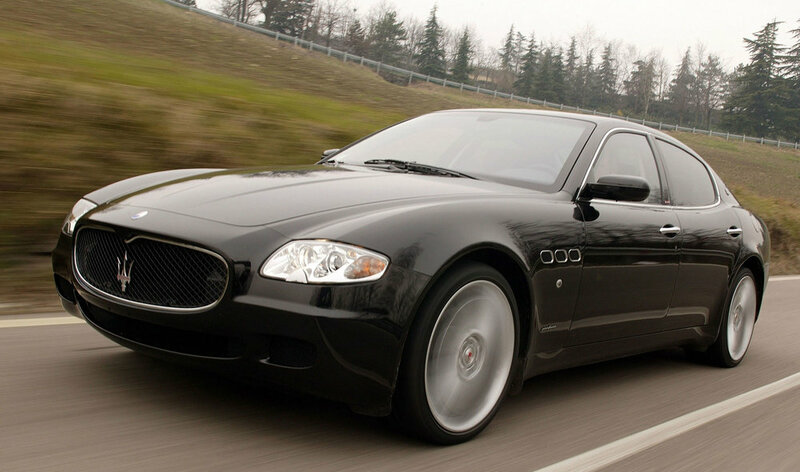 2004: The fifth-generation Quattroporte goes on sale with a 400bhp 4.2-litre V8. All cars have a DuoSelect automated manual gearbox with paddle shifts. 2005: Executive GT and Sport GT versions join the range; the former with extra wood trim, the latter with faster gearshifts and 20-inch wheels. 2006: A ZF six-speed auto becomes available, alongside the DuoSelect. 2008: The Quattroporte is facelifted and at the same time the S arrives with a 424bhp 4.7-litre V8. 2009: The 434bhp 4.7-litre Sport GT S arrives too, with lowered, stiffer suspension for sharper handling and faster gearshifts. Buy the newest car that you can afford; early cars (2005/6) are best avoided altogether. The servicing requirements are stringent - every 6000 miles. Don't consider buying a Quattroporte that doesn't have a full service history. The DuoSelect transmission is jerky and can be unreliable; the ZF gearbox is a far better bet. Most Quattroportes come with Skyhook adjustable suspension. The S and GT S do without this though; their suspension is fixed. DuoSelect clutches can last up to 40,000 miles, or less than 15,000 miles if driven hard. The hydraulic gear selectors also fail and repair costs are very high. A regular four-wheel alignment check is essential or the handling will be affected. Bushes and dampers also wear out. The ECU and ignitor pack for the xenon headlights can fail, so there's no dipped beam. Fixing this is seriously pricey. Check all of the electrics as glitches are common. The windows can stop working, along with sunroofs and air-con.